â€œWe just wanted to have a sense of it,â€ she told reporters. â€œTo be fair the request to them has come quite late, so we need to give them a bit more time to process our request. â€œWe are respectfully calling on the authorities to give us access at some stage while we are here,â€ she said. U.S. intelligence agencies believed Crown Prince Mohammed bin Salman ordered an operation to kill Khashoggi, a critic of the kingdomâ€™s de facto ruler, and say his body was dismembered and removed to a location still publicly unknown. READ ALSO: Jose Mourinho: An analogue manager in a digital world? Kenneth Roth, executive director of Human Rights Watch, said on Monday that Callamard is investigating what evidence is pointing to Prince Mohammedâ€™s responsibility. 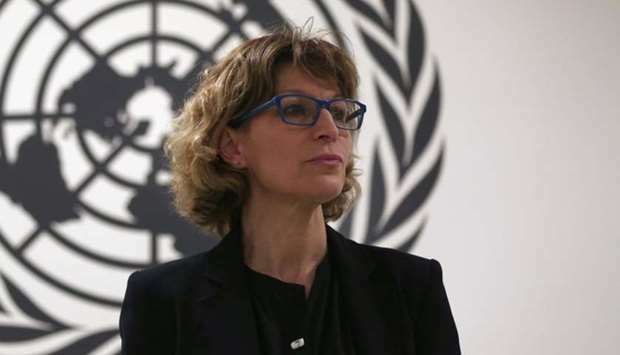 Callamard met Foreign Minister Mevlut Cavusoglu, Justice Minister Abdulhamit Gul and the head of Turkeyâ€™s National Intelligence Agency (MIT) separately.